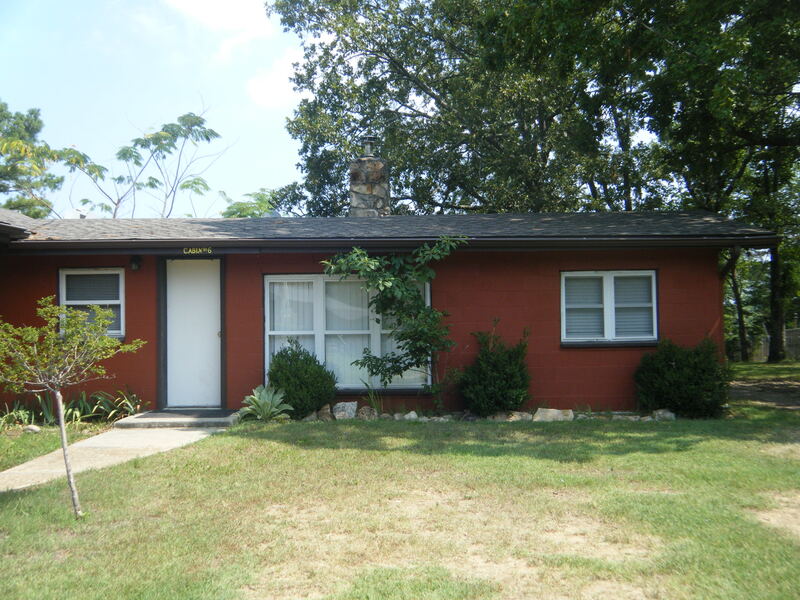 Cabin 6 is adjoined to the main house, yet is still private and quiet. It is a one bedroom, one bath (shower only), but a second bedroom/bathroom option can be added (6B). 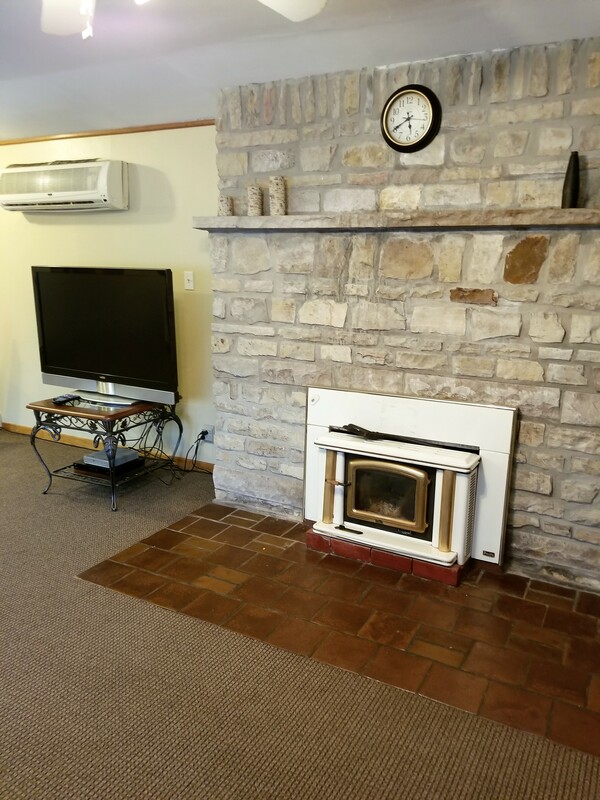 It has air condition and heat but also a wood burning fire place. The bedroom has a king size bed and closet. The living room has a futon that will make into a twin bed. 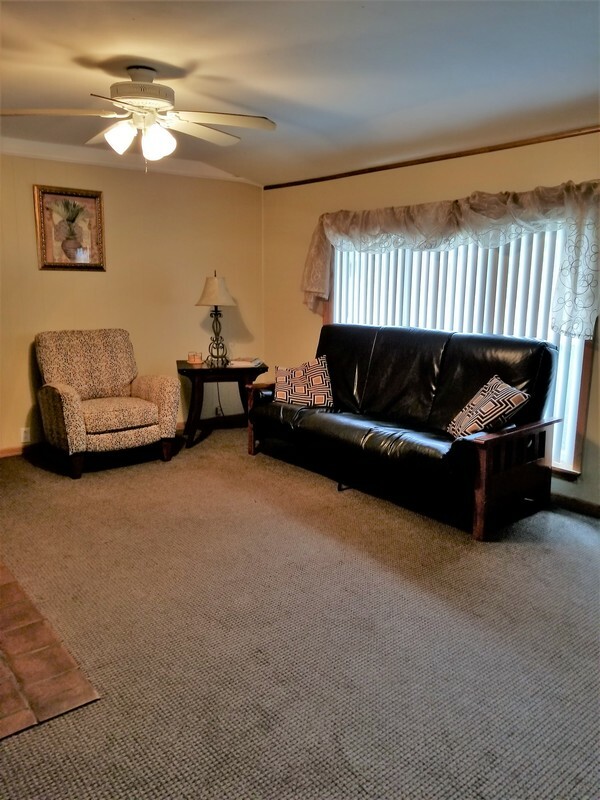 The living area is the largest of the six units and includes a large flat screen TV. 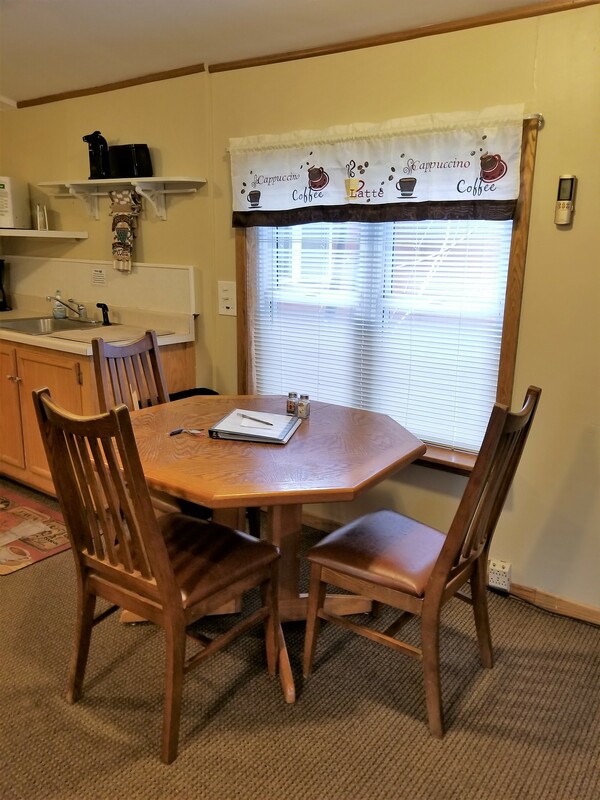 The screened in porch includes patio furniture seating for four. Sleeps 4 to 6 comfortably. The second bedroom/bathroom option includes a full bedroom with two queen size beds, large closet, TV and another full bathroom (shower only). Sleeps 6 to 8 comfortably with second bedroom added. Our clean and well-maintained cabins are ready and waiting for you! These cabins have linens, bath and kitchen towels, bath soap, dish soap, toilet paper. You will also find cook ware, utensils, dishes, coffee cups, glasses and even wine glass for relaxing evenings under the stars. 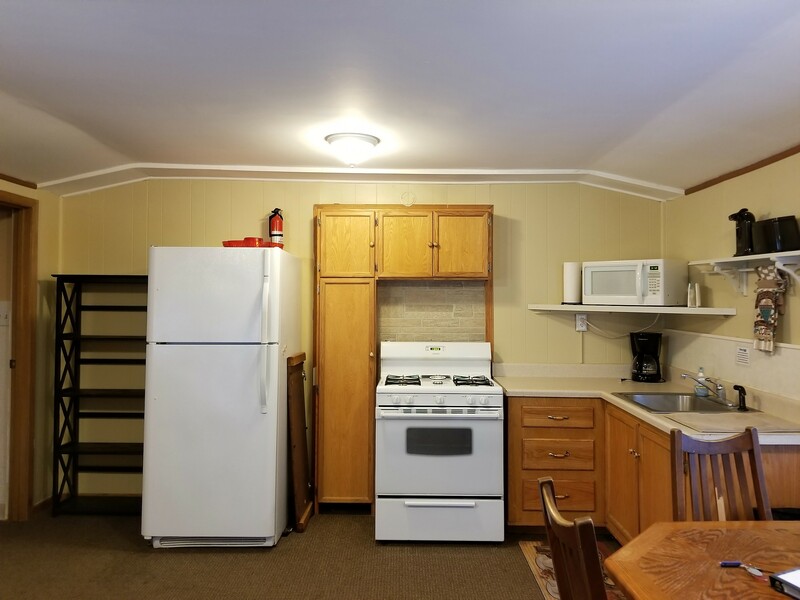 All cabins have kitchens that include a stove, refrigerator, microwave, toaster, and a coffee pot with filters provided. Each cabin has a full bath, flat screen TV with Dish satellite and a DVD player. They are air conditioned and heated for your comfort any time of year. A free boat slip is provided in our private covered boat dock with your cabin rental. All cabins have their own charcoal BBQ grill. They are non-smoking but smoking is allowed outside and on the screened in patio. All cabins are pet-friendly with an $8 per night per pet fee. Limit 2 pets per cabin.